What Is the Role of the Pretrial Services Officer in the Federal Criminal Justice System? We know that obtaining the least restrictive release conditions are of paramount importance to you, especially in the early stages of the case, when your world has been turned upside down. Our dedicated and experienced federal criminal defense attorneys stand with you every step of the way to bring order, peace of mind, and a light at the end of the tunnel when you are charged with a N.J. federal criminal offense. For individuals who are facing NJ federal criminal prosecution or sentencing in the United States District Court for the District of New Jersey, or state criminal prosecution or sentencing in the criminal courts of New Jersey, or who are appealing their criminal matters before the United States Court of Appeals for the Third Circuit, the New Jersey Appellate Division, or the Supreme Court of New Jersey, it is critical to have an experienced federal and state New Jersey criminal defense attorney represent you. 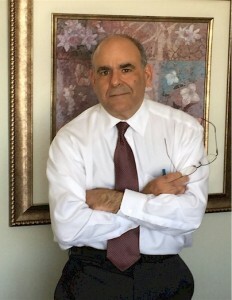 The experienced criminal defense lawyers of Schwartz & Posnock appear in all Federal Courts of New Jersey, as well as the State and Municipal criminal courts in New Jersey, and have convenient locations in Monmouth County (Eatontown), Essex County (Livingston), Union County (Linden), and Middlesex County (East Brunswick). Call us at 732-544-1460 or email us at info@schwartzposnock.com to schedule an appointment. We look forward to obtaining a positive outcome of your case. If you are an immigrant, even one with legal status, a New Jersey criminal conviction can end your dream of US citizenship, and may even lead to your deportation, inadmissibility, or visa problems. The United States Government has recently stepped up immigration enforcement, and many people who entered guilty pleas to criminal charges in the past are finding themselves in federal custody. Some of the types of convictions that can lead to immigration consequences include crimes of moral turpitude, aggravated felonies, firearm offenses, domestic violence and child abuse, violation of a protective order, falsifying government documents, and drug possession. Whenever a conviction occurs the visa holder should be aware that immigration status may be affected as well and should seek out guidance on this issue from an attorney. If you face deportation or other immigration consequences based on an old conviction, there may be a basis to reopen and renegotiate your case. A United States Supreme Court decision , Padilla v. Kentucky, held that a criminal defense attorney has the affirmative duty to inform his or her client of the immigration consequences of a guilty plea prior to entry of that plea. Failure to have done so can lead to your criminal conviction being vacated. Two New Jersey criminal cases discuss whether Padilla applies to guilty plea cases resulting in deportations which occurred prior to the Supreme Court’s 2012 decision. The New Jersey Supreme Court decided in State of New Jersey v. Gaitan that post-conviction relief petitioners who entered guilty pleas prior to Padilla cannot establish an ineffective assistance of counsel claim just by alleging that they were not advised regarding the risk of deportation. Instead, a petitioner must satisfy prior New Jersey law showing that his New Jersey criminal lawyer provided affirmative misadvice regarding the immigration consequences of a guilty plea. In State of New Jersey v. Santos, decided on May 8, 2012, the New Jersey Supreme Court reiterated that the Padilla decision, at least for the time being, is not retroactive in the state courts of New Jersey. New Jersey criminal lawyers should be aware of the requirements of advising a client of the immigration consequences of a guilty plea. New Jersey criminal lawyers should also be aware that their client’s guilty pleas can be vacated pursuant to the United States Supreme Court decision in Padilla. The experienced attorneys of Schwartz & Posnock have represented the immigrant community in NJ Municipal Court, Superior Court, and Federal Court criminal cases throughout the State of New Jersey for over thirty years. We have a proven track record of excellent results for our clients. Please contact us in any one of our convenient locations, including our Monmouth County office, located in Eatontown (at the Jersey Shore), our Essex County office, located in Livingston, our Union County office, located in Linden, or our Middlesex County office, located in East Brunswick, to discuss your case. You may call the experienced criminal defense attorneys of Schwartz & Posnock at 732-544-1460 or email us at info@schwartzposnock.com. Our website may be found at: www.schwartzposnock.com.